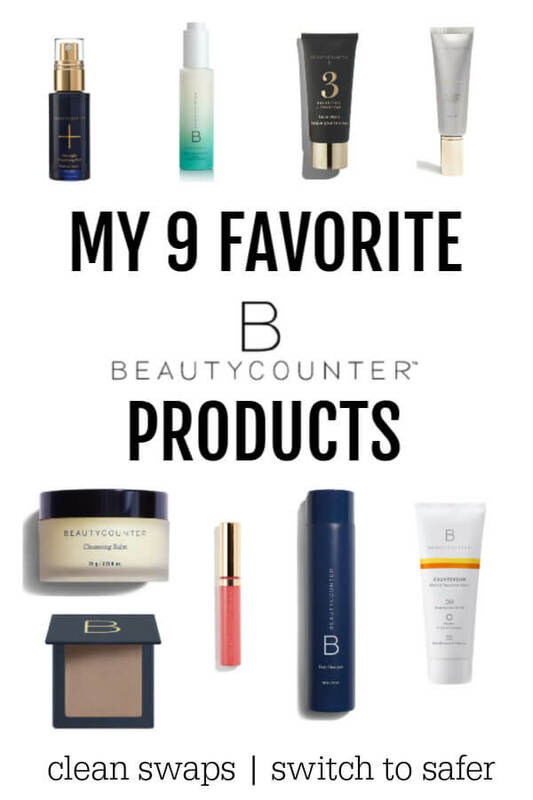 Have you ever smelled caramelized bananas roasting in the oven? I can’t even begin to describe the smell. Pure heaven! 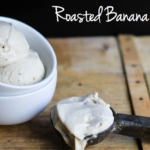 Introducing my new favorite dairy free ice cream: Roasted Banana Ice Cream.This recipe has been on my mind for over a year ago. And yesterday I finally made it. All I can say is “WHOA!” I do believe that I have a new favorite dairy free ice cream. My mouth is watering just thinking about it right now. 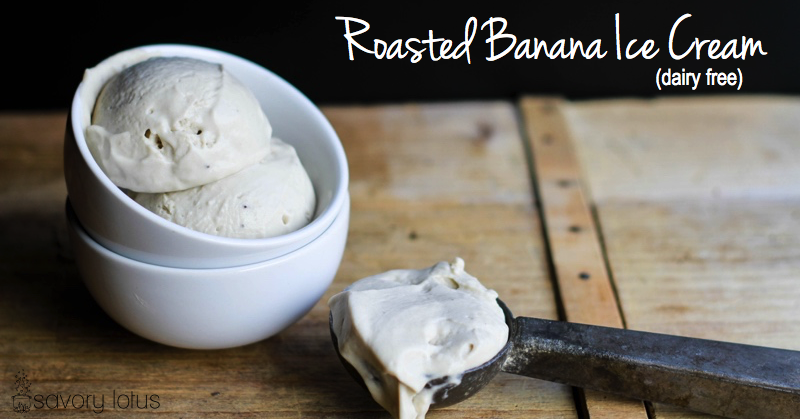 I came across this recipe for a roasted banana ice cream over a year. I filed it in the back of my mind to make for later. And since the weather has been super amazing and since I had a huge pile of extra ripe bananas on the counter, it was time to try it. I love when recipes exceed my expectations. 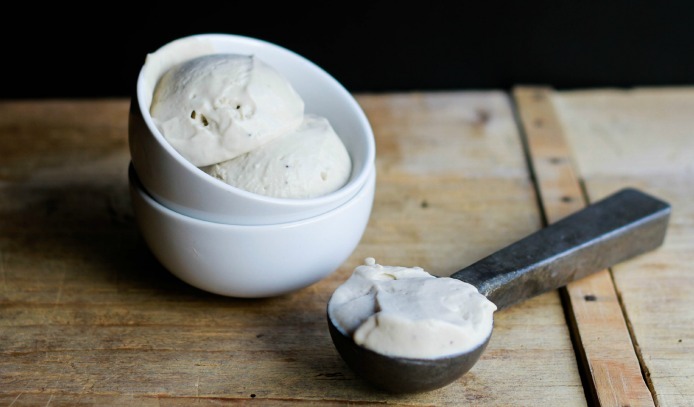 This is hands down the richest and creamiest dairy free ice cream that I have made. Creamy coconut milk mixed with bananas caramelized with coconut sugar = sooooooo good! I had no idea how amazing roasted bananas could be. 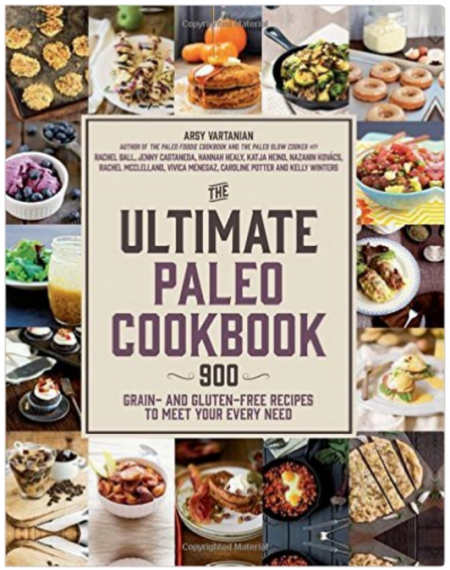 I’m already thinking of more recipes to use them in. This is not a fancy looking ice cream. The ingredient list is simple. And the process is fun- especially watching the coconut sugar and coconut oil caramelize around the bananas. Oh, did I mention the smell? I have personally found that I like the texture of dairy free ice cream when I add a titch of grass fed gelatin to it. This step is totally optional but totally worth it. It makes the ice cream less “icy.” I like to make the mixture the night before to give it ample time to completely cool. I’m a purist when it comes to my ice cream. No extra toppings or sauces. 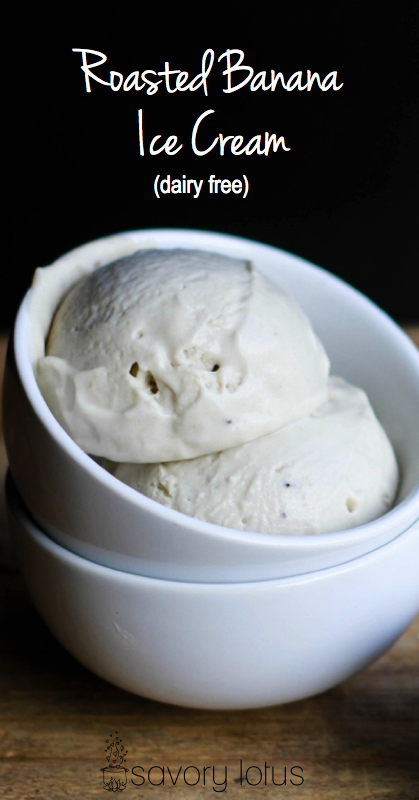 But if you feel inspired, I bet this ice cream would be amazing with some roasted nuts or chocolate chips. Kind of like a nice slice of banana bread. So next time you have some super ripe bananas, remember what I said about the smell of caramelizing bananas. You will be hooked! Spread sliced bananas into a 9×12 baking dish. Drizzle on melted coconut oil and sprinkle on coconut sugar. Toss to evenly coat. Bake for 25-30 minutes, until bananas are browned and the liquid is bubbling. Be sure to stir the bananas one time halfway through baking. FOR OPTIONAL GELATIN: While bananas are baking, place 1/4 cup water in a small bowl. Sprinkle gelatin over the surface and allow to soften for at least 10 minutes. Once bananas are done, place coconut milk, vanilla, and salt into a blender. Add the gelatin mixture. Then scrape in the entire pan of roasted bananas and bubbly juices. Blend until completely smooth. Place in fridge to cool completely- best overnight. Pour into ice cream maker and process according to manufacturer’s instructions.